Happy New Year! We have some exciting things coming for you in 2017 and we’re kicking it off with a month of Fantastic Beasts crafts and recipes! We are in love with the beasts from the movie. Behind a Bowtruckle, my favorite Fantastic beast was a Niffler! Today, I tried to cross a niffler with a cupcake. I shall call it a cupfler… or maybe a niffcake. Or maybe I’ll just call it delicious. Like I’ve said before, I do stuff from a box. You’re welcome to make your own from scratch if you are a Molly Weasley type! 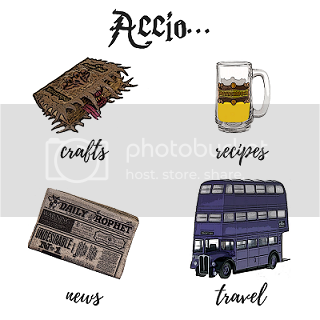 Any requests for a Fantastic Beasts craft or recipe you’d like to see this month? Drop us a suggestion on our Facebook, Twitter, Instagram, or comment below! Eeeeeeee…. these are so cute! I love ’em!